Children derive enormous benefits from yoga. Physically, it enhances their flexibility, strength, coordination, and body awareness. Also, their concentration and sense of calmness and relaxation improve. Doing yoga, children exercise, play, connect more deeply with the inner self, and develop an intimate relationship with the natural world that surrounds them. Yoga brings that marvelous inner light that all children have to the surface. Yoga is beneficial to children of all ages, but it has been found to be particularly so for kids with special needs. Studies have shown that yoga benefits children with autism and ADHD. NPR has reported that researchers surveyed teachers at a Bronx public school that had a daily yoga program and found that the program reduced kids' aggressive behavior, social withdrawal, and hyperactivity, compared with a control group of kids with autism who did not practice yoga. Kristie Patten Koenig, Ph.D., an associate professor of occupational therapy at New York University who led the study, says that yoga was effective because it seemed to play to the strengths of kids with autism while also reducing stress. Autism Key, an autism support website, says that yoga helps address kids' heightened anxiety, poor motor coordination, and weak self-regulation, something that otherwise is very difficult to do. Yoga is something children can practice anywhere. Plus, yoga is portable, and no mat, special clothing, or special pillow is absolutely necessary. Parents may notice how yoga benefits their kids, but the best judges are the kids themselves. 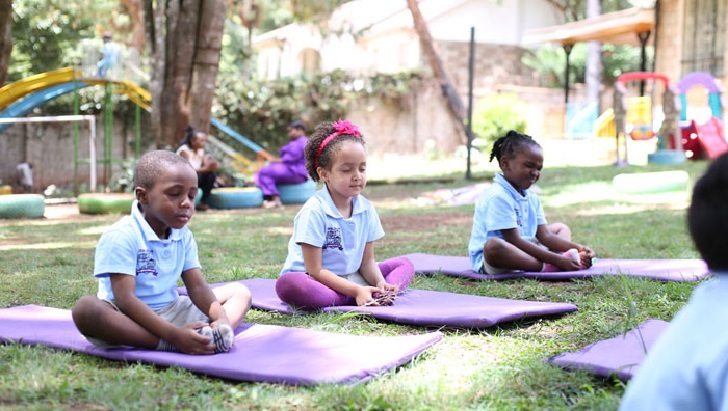 Children who have practiced yoga tell teachers and parents that they are able to concentrate better during the day, focus better on their activities, and pay attention to their tasks -- all the finest endorsements. Here is the Guide to All Yoga Postures.